Official Development Assistance is being increasingly spent by departments other than the Department for International Development. 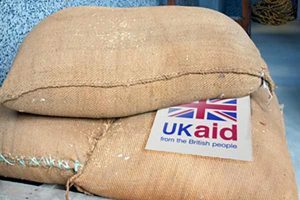 Since 2013, departments other than the Department for International Development as well as cross government funds have made an increasingly large contribution to the UK’s Official Development Assistance (ODA) expenditure. At the same time no part of government has responsibility for checking on progress in implementing the UK Aid Strategy or for assessing the overall effectiveness and coherence of ODA expenditure across government, according to today’s report from the National Audit Office. In 2015, the UK government met the target to spend 0.7% of its gross national income on ODA for the third year in a row, spending £12.1 billion (compared to £11.4 billion in 2013 and £11.7 billion in 2014). Provisional data suggest that the target will be met in 2016 (with spending of £13.3 billion). Since 2015, the government has been legally obliged to meet the target. The 2015 UK Aid Strategy set out that more ODA expenditure would come from sources other than the Department for International Development. In 2013, expenditure by the Department for International Development contributed 88% of the total; in 2015, it contributed just over 80%. As part of the Spending Review in November 2015, HM Treasury took an evidence-based approach to allocating ODA budgets to departments which bid for new activities that could be funded with ODA. It collected information on, for example, the objectives of their planned programmes and their eligibility to count towards the target. However, it did not fully assess each department’s capacity to manage the increase in spending. The Department for International Development supported other government departments as their ODA budgets increased. It provided advice on issues such as the eligibility of ODA expenditure and support to build their project management capacity. Those departments and cross government funds put in place arrangements to oversee their ODA expenditure and have taken positive steps to build their capacity to spend their larger ODA budgets. The NAO found that they also experienced similar challenges to those the Department for International Development faced in 2013, the first year the target was met. For example, five of the 11 bodies the NAO examined spent more than half their ODA budgets for 2016 in the last quarter of the calendar year. And many of them faced issues accurately forecasting their expenditure. The Department for International Development has improved its management of its ODA budget since the NAO last reported on this issue in 2015. For example, a smaller proportion of its spending is in the last two months of the year. And it has a pipeline of projects with a value in excess of its budget, creating choice and opportunities to consider value for money. To date, government has focused on making sure the target is met. It has taken important steps to support cross government working by, for example, creating a senior officials group to support the target’s management and delivery.